Big Lottery Fund - Grant Success! 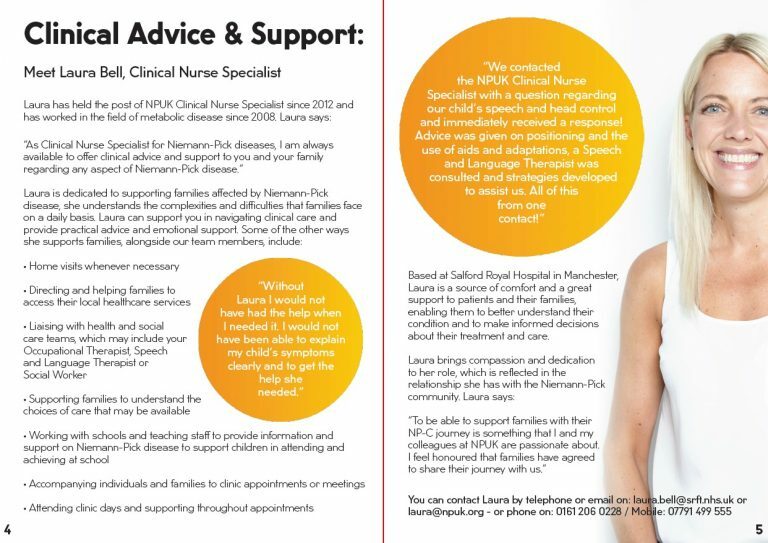 NPUK provides a unique care and support service to families affected by Niemann-Pick disease. The service has been developed over a number of years and is closely monitored to ensure that each activity is of value and benefit to the community we support. 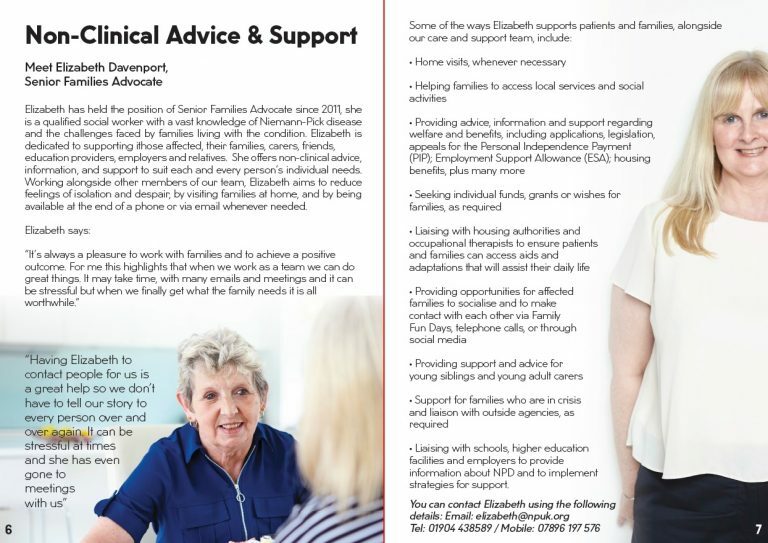 Our Senior Families Advocate (Elizabeth Davenport), and Project Families Officer (Steve Neal) who provides non-clinical advice and information, offering an individual advocacy service which includes home visits and assistance at clinic appointments. 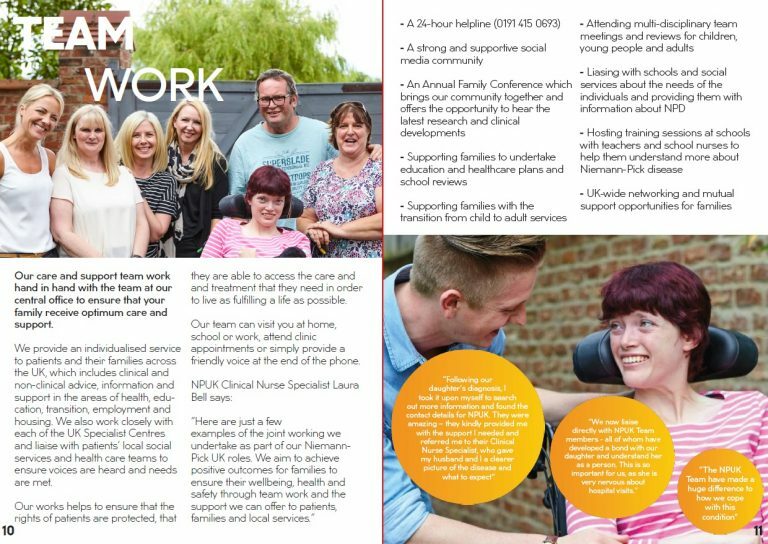 Learn more about ‘Our Care and Support Services’ in our official brochure below, available for download in full here. NPUK’s Board of Trustees is made up of people who have family members or friends directly affected by this group of diseases. We understand the urgency to find effective therapies and the fact that progress never seems to be fast enough. This understanding is at the heart of our research strategy. 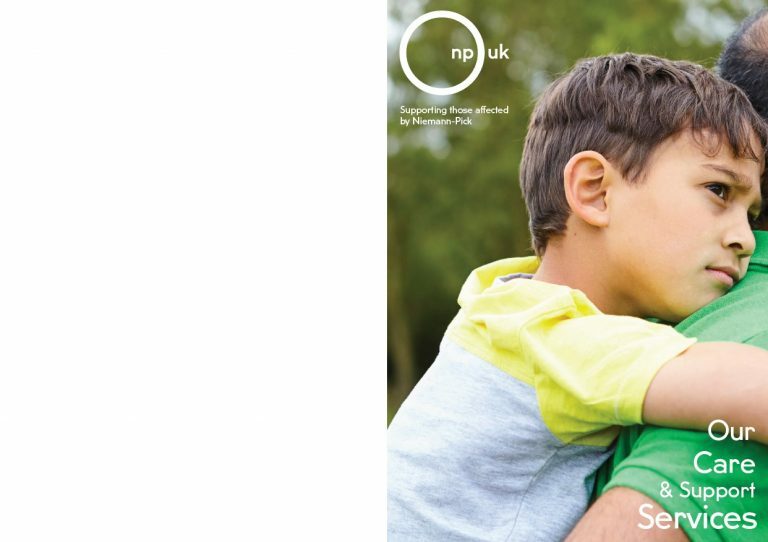 Facilitating progress towards therapeutic interventions for Niemann-Pick diseases is central to everything we do at NPUK and has been since the organisation formed in 1991. 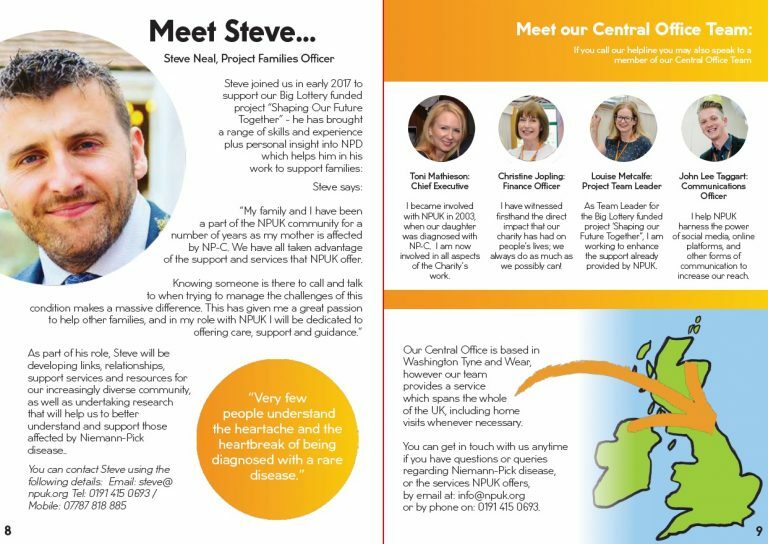 We actively encourage Niemann-Pick disease research through the relationships we foster and the networks we contribute to. By sharing knowledge and expertise and by working together, we believe progress will be even faster. In addition, we actively pursue opportunities to facilitate research and clinical trials here in the UK. 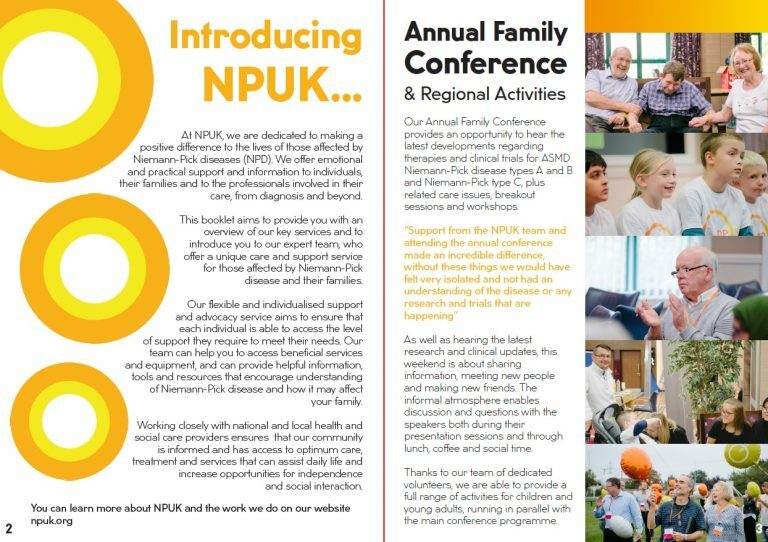 The NPUK 26th Annual Family Conference and 10th Interactive Workshop on Niemann-Pick Disease(s) will take place between the 20th-22rd September 2019 at Wyboston Lakes, Bedfordshire. You can find last year’s programme, here. We are pleased to announce that we have been awarded a grant from the Big Lottery Fund Reaching Communities Programme – a great achievement for us as an organisation! Our focus is to ensure that our project, ‘Shaping our Future Together’, is delivered with positive impact and has lasting benefits for those we support. 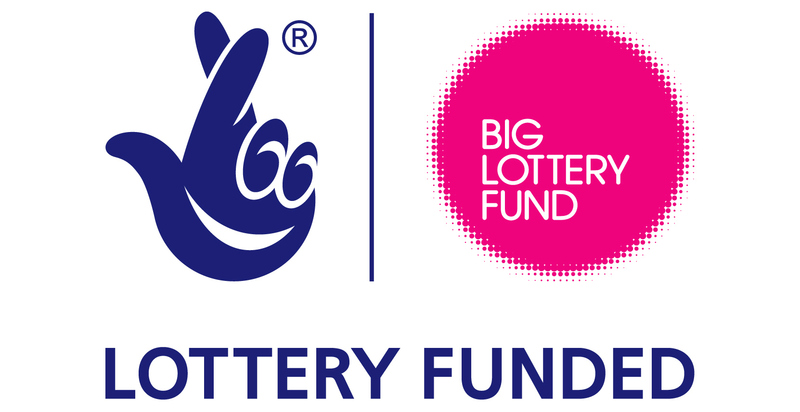 We would like to thank the Big Lottery Fund for choosing to support our organisation with the grant, which covers a period of five years and gives us the fantastic opportunity to enhance our current support service with this new project. Building on a previous grant from the Big Lottery Fund Reaching Communities Programme for our “Family Care and Interactive Support Project”, we will further develop our services for those affected by Niemann-Pick diseases, their families and the wider community, from diagnosis and beyond. 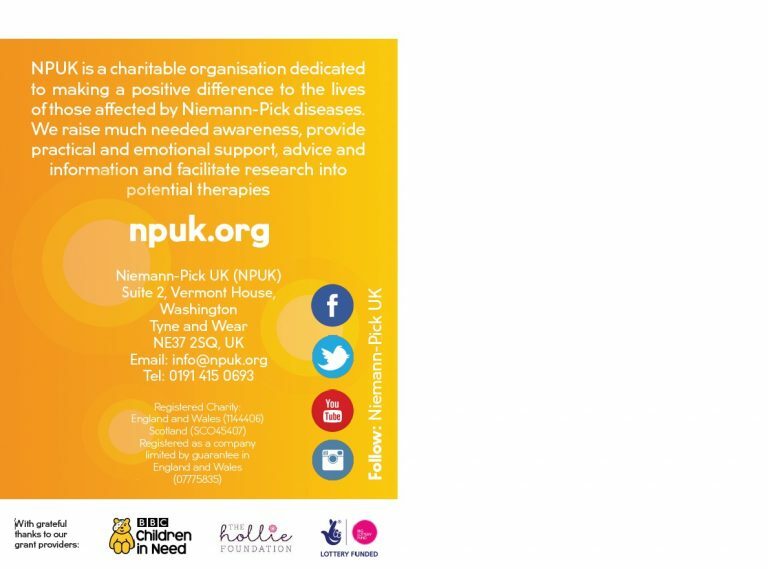 The grant will enable us to develop our support and outreach services for the increasing number of adults diagnosed with NP-C arising from our ‘Think Again, Think NPC’ campaign, to further enhance support for newly diagnosed patients and their families, engage more effectively with dads, siblings and BME members of our community and also to continue to develop our genetic and bereavement counselling services. In addition, we will be able to expand use of interactive technology, such as iPad’s, to our adult community, helping to improve access to advice and information from our Clinical Nurse Specialist and their own health care team. In particular, we have found that this helps those who may feel isolated, or who are struggling with the challenges associated with Niemann-Pick disease. To support the delivery of the Project, we are pleased to introduce a new member of staff, Louise Metcalfe, who is assisting in the positive delivery of the project aims. Louise has taken on the role of Project Team Leader and tells us: “It’s been great to get to know my new colleagues, NPUK trustees and of course our community, as well as contributing to the on-going success of this incredible charity.” Louise brings with her a range of skills gained from a varied background working in social policy, child poverty and most recently with young homeless people. The Project will help us to increase our overall focus on advocacy work, provide greater geographical coverage and offer wider access to bereavement counselling.